Did James Bond 23's Title Get Leaked? We Have It! James Bond films' titles have always been a subject of debate, anticipation and always capture the films' essence perfectly. As Daniel Craig traverses the globe filming the twenty-third edition of the James Bond franchise, questions have been raised as to what the title is beyond the moniker James Bond 23. Word has emerged that the title of the latest Bond flick will be Skyfall. So, what do you think? Skyfall, if that is indeed what it will be called, is slated for a late 2012 release (finally!) 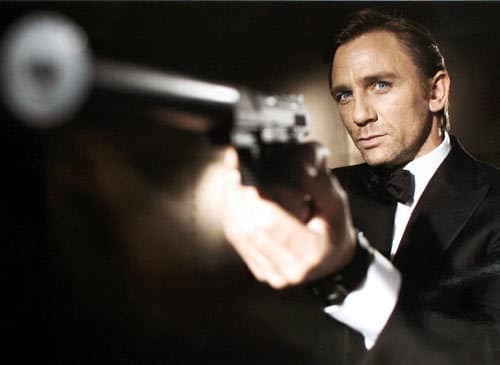 and may or may not be Craig’s final foray in the Bond tuxedo. Reports have been swirling that Idris Elba may be the next James Bond. But, that’s neither here nor there as we are all about James Bond 23, er, sorry, Skyfall. The reason for the speculation that the title is in fact Skyfall emerges from Sony Pictures buying the domain names related to that title. Purchased web addresses include JamesBond-Skyfall.com and Skyfallthefilm.com. Even without the what-is-the-name ruckus, we for one, are excited about Academy Award winning director Sam Mendes helming his first Bond flick! Have You Seen the Wonder Woman Footage? Trainspotting Sequel a Go with Full Cast Attached? !